Sorry, we couldn't find any West Lake Imports listings that matched your search criteria. I purchased a car here. Two weeks later they call me saying that I had to get a inspection on it because they claimed to have missed a vin number and the next week the transmission went out. I've never purchased a vehicle where I had to get my own inspection that the dealer was suppose to do and within a month of purchasing the car had a transmission go out on any of my cars. Nigel , Thanks for the review , I find this very interesting that you would write a review about your transmission going out , but not call the Dealer. We offer a 30 day powertrain warranty, just like we explained at the time of sale. Please bring the car in and let us take a look. Again ,I honestly dont believe you have a Problem with the car , if you did , you would have called ! Thanks for the review , please call us if you have any questions. Thank you for the review Jose , Please call us at West Lake Imports if you have any questions .. Thanks for the 5 Star review Ron , Please call if you have any questions .. Thank you for the Great review , Everyone here works hard ,We are glad to have earned your Business !!! Thank you for the reveiw Uwe It was a pleasure doing Business with you. Thank you for the 5 star reveiw..
To far to travel, but he responded promptly. I really appreciated. It way great talking to you, if you find some time to make the trip , bring me your gas reciept , we will at least cover your cost of fuel. Thanks for the positive review . We live in South Carolina and drove to North Carolina to see this vehicle...it ended up not being what we expected so we drove and decided on a 2010 BMW X3. We were there from 10:00 until 3:45 in the afternoon because mistake after mistake was made with the paperwork to purchase this vehicle. When we left we still didn’t have an answer regarding the purchase so we left and purchased a 2011 BMW X3 for the same price elsewhere...the whole purchase took 1 hour and 15 minutes and we were on our way...I wish we would have stopped there first!!!!! Thanks for the online Reveiw Leslie. Yes I remember well, we had you Pre Approved on the 2008 Mercedes Benz ML 350 for a finace amount of $10600 and then you switched cars, which the process starts over and we had to resubmit the application to the bank . Unfortunately because of your debt to income our lenders would not approve you on the M Sport BMW because of the sale price being much higher. I am happy you found the vehicle and yes I'm aware that the banks are very busy on Saturdays and it becomes a timely process. I hate that you feel we earned a 1 star review but we try our best and pride ourselves in customer satisfaction. Most deals take less than an hour. Good luck and Maybe someday we can redeem ourselves ! The whole car buying experience was positive. Aaron was very knowledgeable. He walked us through each step of the process. We would highly recommended this company to anyone. Hi GuruY848J, thank you very much for letting us know how we did. We very much appreciate our customers and the feedback. Please never hesitate to let us know how we can help. 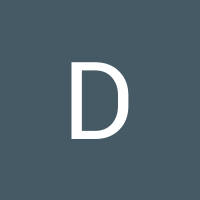 Did not purchase the vehicle however the dealer was very responsive and provided requested info quickly. So far so good. We are communicating about odds and ends things and getting in touch with the previous owner. We came to a negotiated price and the car was everything advertised and then some. So far I am very pleased, both with West Lake Imports and the car. Thanks Bruce , Hope you are enjoying the new ride!! Although we are not perfect we try very hard to communicate and be up front with our customers and of course stand behind our product. It helps to have a full service Automotive shop on site so we can correct almost any situation . Thanks again for the Positive review !! Great Experience; i truly believe they are some of the most honest people I have done business with. It was a pleasure meeting with you, thanks for the business and thanks for the kind Review Bob! 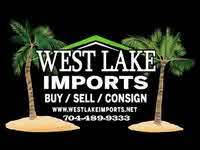 We are extremely pleased with EVERYTHING about our sales experience with West Lake Imports. Kenny Hendrick, the Dealer Principal, was most accommodating, meeting all of our requests in a most professional and timely manner. We had been looking for a BMW 5 series at a number of Auto Dealerships over a 2 week period and West Lake Imports was head and shoulders above all of them in product and customer service. I highly recommend working with Kenny Hendrick and West Lake Imports. Thank you Carl and Carol. Thanks for driving all the way from Greensboro. It was a Pleasure doing business with you and thanks again for the Referrals and Positive online review .Please call if you have any Questions . Thanks for the Business Jeff! Please call if you need anything.. They got back to me quickly and we got a deal done quickly. The staff there were A1. I should have been more thorough inspecting the car as there were a few issues with the car, airbag light is on, 1 broken key fob, door panel broken at speaker. I still really love the car, drives like a dream. I will fix these issues since I overlooked them. Besides the warranty covers the powertrain only. It is rare to see any warranty at all for a 15 year old vehicle. Thanks for the 5 star review , Yes you are correct the car is solid and is 15 years old with low miles . Feel free to stop in at our service dept. would be happy to address any of these issues . Thanks Martin! We look forward to seeing you Here at West Lake Imports again. Charlie , You did a Great Job Picking out the Dodge Ram Tradesman.. Very Nice truck with low low miles . Yes sometimes the Finance Process can be challenging, However we got you financed and we are glad you're a Happy Customer . Thanks again for your Patience. Thanks James , It was Great Meeting you. Please keep up with our site www.westlakeimports.net as we have new inventory each week .